One of our parents, David is doing the Great North Run this weekend. He’s decided to raise funds for our club whilst he does it, which is fantastic! We’re about 1/3 of the way to our target so far after a Bag Pack event at Hartlepool Tesco, a raffle organised by the local branch of the Rotary Club and a very generous donation from one of the club families (who I won’t embarrass by mentioning their name here). We’ve also got a Sponsored Kickathon on 1st October at the club too – forms are available now. If you would like to sponsor David & the club, you can do so by visiting his page here. There is also a paper sponsor form at the Dojo if you’d prefer to use that. Moscow State Circus = Awesome show! Today we had the pleasure of visiting and supporting one of the clubs (& The North East Open’s) main sponsors, the Moscow State Circus. We have a very busy Karate schedule with most weekends taken up with Karate – just this weekend we had an open day and a birthday party at Dojo HQ and a squad competing in Leicester. Carl was also supposed to be in London for another event (which he skipped so he could catch this). So it was great that we could catch the show before it left the North East. Sensei’s Lynne, Michael, Carl & Amy, along with Perrin (3 years) and Joe (1 year) arrived at Raby Castle with very little idea of what to expect. Our man who knows how to get things (we call him Red) introduced us to Anthony Anderson, who is one of the directors and wh is also from Hartlepool – it was great to finally meet face to face, if just for a quick chat before the show. My cheeks were actually aching by the end from the laughing and smiling (and the occasional grimace). We’ve seen a lot of shows from the local theatre, to the West End to full blown Tokyo Disney and this matched any of the best for acrobatics and production value. We didn’t get many photos because we were too busy enjoying the show but we did get a couple of videos. A squad of 6 Hartlepool Wadokai students entered the Wadokai England National Championship in Leicester today. The six students made up of Lewis Muldown, Paul White, Mollie Cooper, Daniel Spires, Joe Hind and Harvey Kerridge, had a successful day. The boys 13-15 years category ended up with an all Hartlepool final seeing Joe win gold and Harvey Silver. Paul won a gold medal in the 16-17 years, and Lewis got a silver in his first 18 years and above category after coming of age only the day before. Harvey, Joe and Daniel won the under 16 years team category. Excellent timing on the day! For pairs, Harvey and Joe won another Gold in the under 16 years. Mollie and Daniel came out with a well deserved bronze in the same category. These two have shown excellent dedication preparing for this. Lewis and Paul came away with the Gold medal in the over 16 years pairs kata. Great timing boys! Fighting took place on the afternoon. Mollie was first up. Mollie had the biggest categories of the day, but still did well in her first time at this competition. She got through a round in kata, and kept her cool in her fight. A great experience. Harvey came away with a silver in his individual fight and Joe got bronze in the 14-15 years under 60kg. Paul and Lewis both had excellent fights coming away with Silver medals each in their age categories. A successful day for team Hartlepool Wadokai, with lots to work on and a haul of medals to be proud of. High five! Come along to our Karate club on Saturday 3rd September from 10.30am-12.30pm to see what we offer. 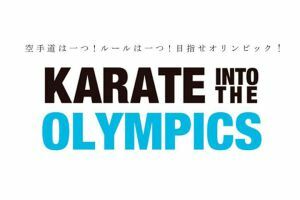 Karate is IN the Olympics! News just in, Karate has finally been accepted into the 2020 Tokyo Olympic Games. 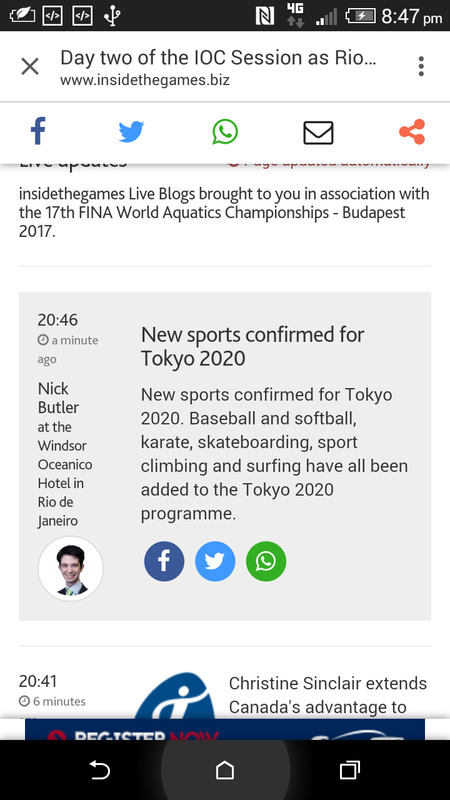 This is great news for our fantastic sport, and allows our athletes to compete on the worlds most prestigious arena. Initially, there will only be a small number of athletes able to compete but this opens the door to further expansion (& full kumite weight divisions?) in the future. Hopefully, this will be the catalyst we need to overcome a lot of the political infighting that too often gets in the way. I also personally would like to see WKF statute 21.9 being removed completely as I see it (in England at least) as an unnecessary barrier for athletes. I would like to thank everyone who has worked on getting Karate into the Olympics. Some Karate-ka have spent decades on this and their dedication has finally paid off. Thank you so much. These class times are valid until 31st August. The normal timetable will resume from 1st September. Bank Holiday Monday 29th August – the full club will be closed on this day. Little Ninjas – All classes are on as normal throughout the holidays except Monday 1st & Monday 29th August when the classes will not be running. WadoFit, Competition Classes, High Performance Classes – All of these sessions re-start from 1st September at the usual times. The club invested £1400 into making sure the evening was a fantastic success and we are happy to say that it was exactly that. The atmosphere all night was really relaxed and friendly, and people were up and dancing within minutes of arriving thanks to the great music. We had a number of ‘special’ achievement awards to present before we started with the main ceremony. These ranged from ‘Worst Haircut’ to ‘Services to One Life’ (One Life is a medical centre in town). These were great ice breakers and were all taken in good fun. This is in memory of Steve Kerridge (Harvey’s step dad, and our Vice Chairman Rachel’s husband) who we sadly lost a few years ago. Steve was a great, hardworking guy who would help absolutely anyone. He was the first person to help renovate the Dojo HQ, the very next day that we collected the keys! In short, this is the ‘nice guy’ award. It has nothing to do with Karate ability, it’s about the character of the person and this, to us, is the most important award we give out. On behalf of the club, I would like to personally thank everyone who helped set-up for the night, and rebuild the Dojo afterwards. It’s always the same few who come along to help but it is massively appreciated. A special thanks must go to Wendy and Mollie who put a lot of work into the planning, even before the date was set. Sensei Lynne, her sister Debi and niece Chloe prepped the fantastic food and George & Nick Gowland put on another fantastic disco for us. Our Chairman, Julia Gowland and her oldest son Lee staffed the bar all night so that the instructors could just relax and enjoy the evening. Lee also provided some sponsorship from his company, McEwen’s for the evening. I would also like to thank our anonymous sponsor for providing the fantastic awards for the evening, and asking for nothing in return. Finally, I would like to thank everyone who came along on the night. People were asking for many more similar events in the future so it’s fair to say that everyone had a great time. The next big night at the club will be the Halloween Party in October (Theme will be Harry Potter/Hogwarts). Full details and tickets will be available from the club after the summer holiday. On Sunday 8th May 2016, the club held its Spring Club-Only championships. This was the second of a series of four events this year. These events are designed so that even a complete beginner to Karate competitions can comfortably enter, and test themselves. As instructors, it’s always a pleasure and a privilege to see our students taking a leap and entering competitions for the first time. It’s almost become a cliché when you say ‘it’s the taking part that’s important’, and obviously everyone can’t win a medal or trophy, so it’s important that we learn to win and lose with grace. The next event, the Summer Club-Only championships is taking place on Sunday 24th July. The sign up sheet will be available at the club from next week.